In the heart of downtown Doha, Bin Jelmood House forms one quarter of a new museum development, opened in 2015. 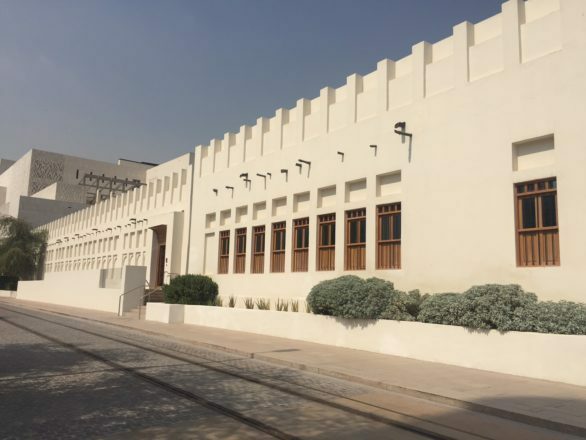 The museum is located in a historic house in the Heritage Quarter of Msheireb Properties large development and forms an integral part of the city's regeneration project. It is the first museum to focus on slavery in the Arab world. The aim of Bin Jelmood House is to raise awareness of human exploitation and to play a pivotal role in its abolition. It also provides a space for reflection on the continuing struggle and perseverance of different groups around the world, as well as acknowledging the long role that enslaved people have played in society, economically, socially and culturally.